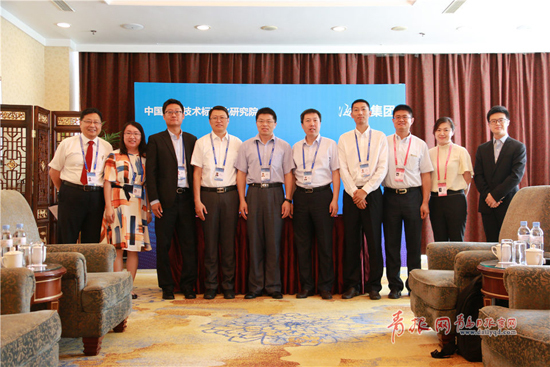 China took a leap on standardization for smart manufacturing as the China Electronics Standardization Institute joined hands with Haier Group, a consumer electronics and home appliances provider headquartered in Qingdao, Shandong province, on June 28. In the era of the Industry 4.0 strategy and following the principle of "win-win cooperation and mutual complementation", the two sides will make concerted efforts in standardizing China's smart manufacturing industry, and setting up a service platform where various referential system resolutions can be integrated. Haier will also make the most of its expertise in household appliances, and work on new evaluation models for manufacturing businesses. The cooperation between the two sides also highlights the dynamic combination of the manufacturing industry and various information technologies, including the internet of things, cloud computing, big data, and cloud services. The combination, by promoting technological innovation, standard setting, experimental verification, test and measurement, and international collaboration, will revolutionize the home appliance industry at the ground level. 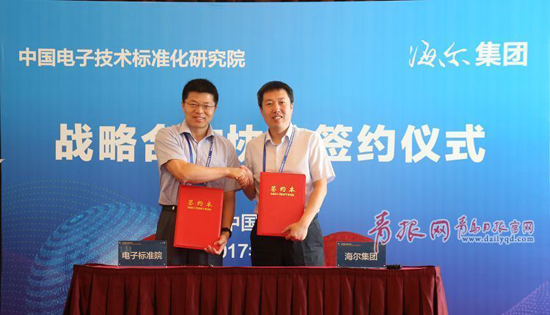 The signing ceremony was part of the 2017 Qingdao Forum on International Standardization that runs from June 27 to 29. The forum with the theme of "Standards Make Cities Smarter" offers a high-end platform for governments, enterprises and other stakeholders to conduct in-depth discussions related to international standardization and social, economic and environmental development.